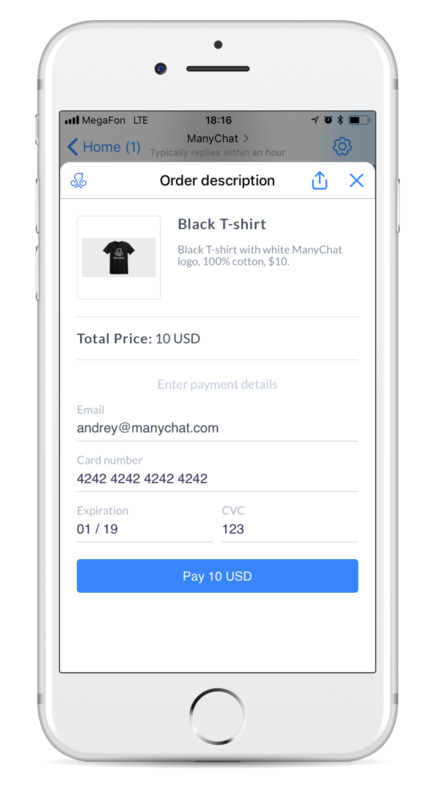 You’re finally able to receive payments directly inside Facebook Messenger using ManyChat! This is a major announcement and we know a lot of you have been waiting for this one. So pop the champagne, do a little dance, call your mom—whatever you gotta do. Get it all out of your system! 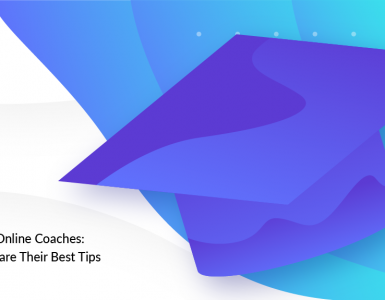 But when you’re done, keep reading—because in this post you’re going to learn how ManyChat payments work and how to set them up in your ManyChat Pro account. Just click “Buy” and enter your credit card info. It’s about as easy as it gets. Quick enough for impulse purchases, robust enough for fully fleshed-out sales funnels. 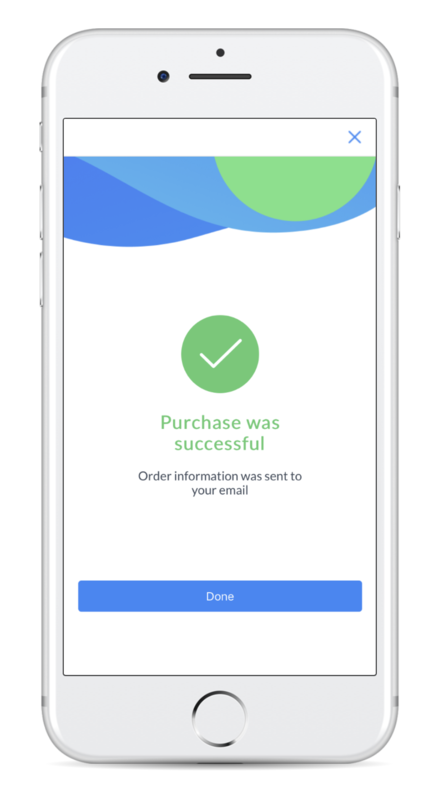 Your customers don’t have to leave Messenger to buy from you. 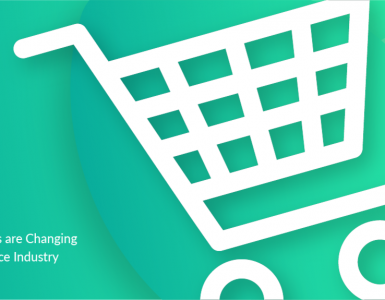 Less friction + a more streamlined checkout process = higher conversion rates. It’s perfect for conversational selling. Thanks to the interactive nature of Messenger Marketing, you’ll be able to ask all the relevant questions and offer your users the product that’s best suited to their needs. Major trust factor. People trust Facebook/Messenger, so questions of credit card security will be a thing of the past. The possibilities for scalable marketing automation are endless! Sell products directly inside your automated Messenger sequences. Turn your chatbot into your company’s best 24/7 salesperson. Since everything happens in Messenger, there’s no need to set up third-party or cross-domain tracking. Implementation is simple & easy. Let’s dive in and see how you can set up ManyChat payments inside your account. (Spoiler alert: it’s pretty easy). To get started, open the “Settings” section in any ManyChat Pro account and click the “Payments” tab. In order to connect ManyChat to Stripe, you’ll need to be an admin for both services. Otherwise you’ll get an error message and won’t be able to proceed. 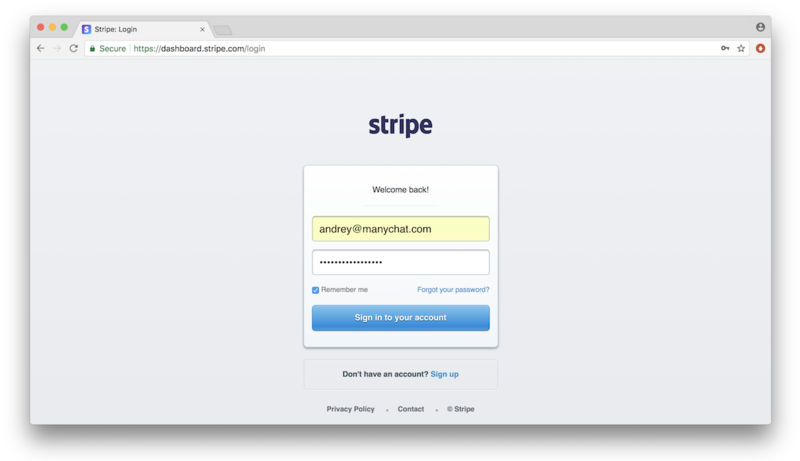 If you’re connecting an existing Stripe account, this should be quick and easy. Just connect the two services and you can begin accepting payments right away! 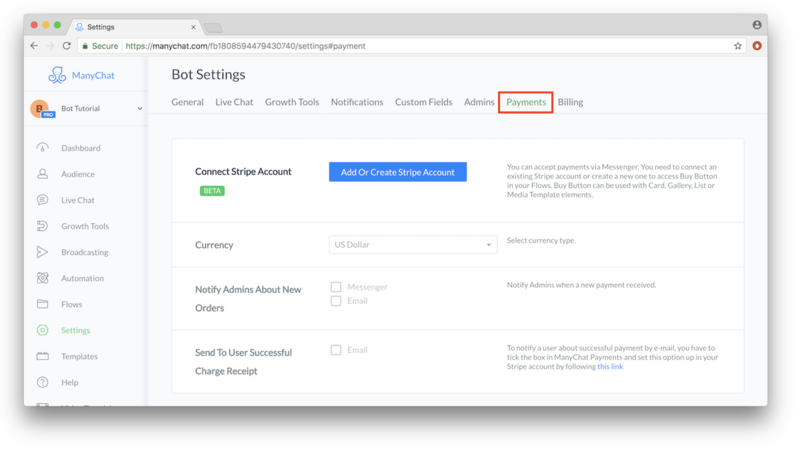 If you’re creating a new Stripe account, you’ll need to add some additional info about your business. But the process is still pretty straightforward. 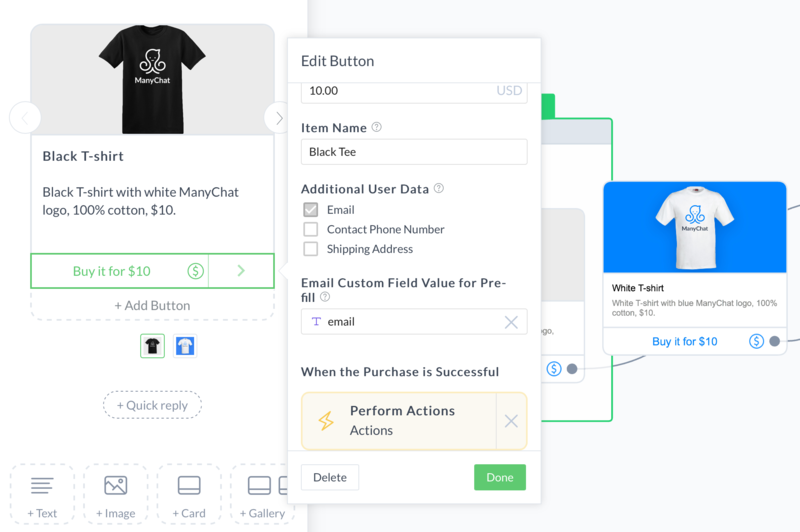 Once your Stripe account is connected to ManyChat, you’ll be able to add a “Buy” button to your ManyChat flows! 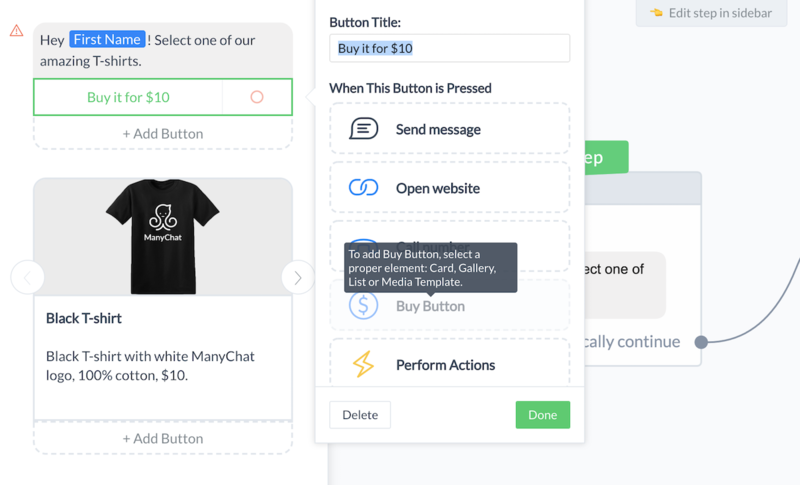 There’s a new button type in ManyChat: the buy button. And accepting payments is as simple as adding this button and configuring it for the product or service you’re selling. You’ll definitely want to add a great picture of the product — people can’t buy what they can’t see! You can also select which user data you need to request to complete the purchase. For instance, physical products will need an address for shipping. An email address will be requested by default. Of course, you’ll probably want to build out your flow to make your customers’ shopping experience as helpful and informative as possible. Give them the option to upgrade or customize their order, let them know how and when they will receive their product, and answer any other questions your customers are likely to have. Now we support EUR, USD and GBP currencies. What products can I and can’t I sell using ManyChat Payments? Is it possible to purchase more than one product at a time? Right now, customers can only purchase one product at a time. Shopping cart and other cool features may come in the future. Stay tuned, we can add even more useful functionality down the road. What can I do with a successful step? 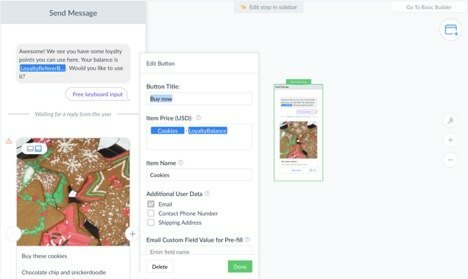 After the successful purchase you can perform different Actions: add Tags, subscribe them to a Sequence, send them content and confirmation messages. I want to charge recurring fees inside ManyChat bot. What can I do? 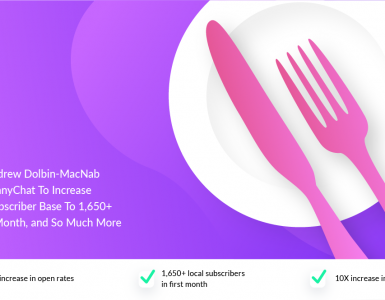 ManyChat Payments feature doesn’t support recurring fees as for now. As a workaround we suggest you to try redirecting you subscribers to Zoho Subscriptions or Infusionsoft. Your subscribers will see these external pages as a nice webview. Is it possible to trigger a Zapier event from a purchase? Yes, you can perform different Actions including Trigger Zap Even Action. Where can I find terms of service for payments? Check out section 7 of our terms of service. Why isn’t Apple Pay/Android Pay supported? Apple/Android Pay are cool features, and they’ll work in a browser, but not directly inside Messenger. Stay tuned, though, because this feature may be supported in the future. In which countries is Stripe available? You can also sign up to get notified about your country. Once Stripe is supported in your country, you’ll be able to accept payments from customers anywhere in the world. 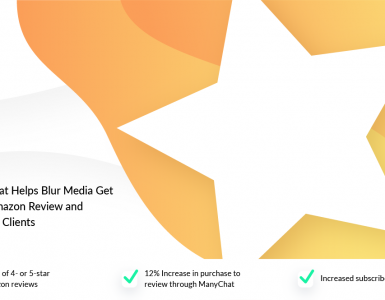 I’d really encourage you to log in and try putting up a product for sale on ManyChat. It’s incredibly quick to set up and the whole process is easy and intuitive. We’ve been saying for a long time that Messenger is the marketing channel of the future. Well, today that future is one step closer thanks to the ability to accept payments directly inside Messenger. Our latest update to ManyChat Payments allows you to integrate more complex logic in Payments to empower the ecommerce section of your bot! Your Buy Button can now have dynamic pricing for charging different amounts. Your subscribers and customers can be charged different amounts based on their individual discount or their status with your company. This is a game changer for businesses offering loyalty programs, discounts, and sales! 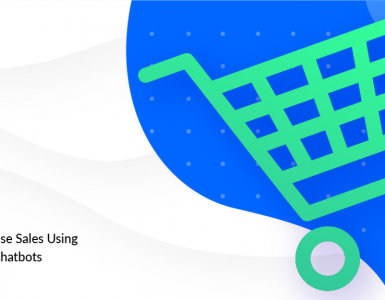 Using Custom Formula in Buy Button allows you to create a simple shopping cart inside the bot — your customers can add different items in their Custom Fields and you just need to sum up all their values at checkout. 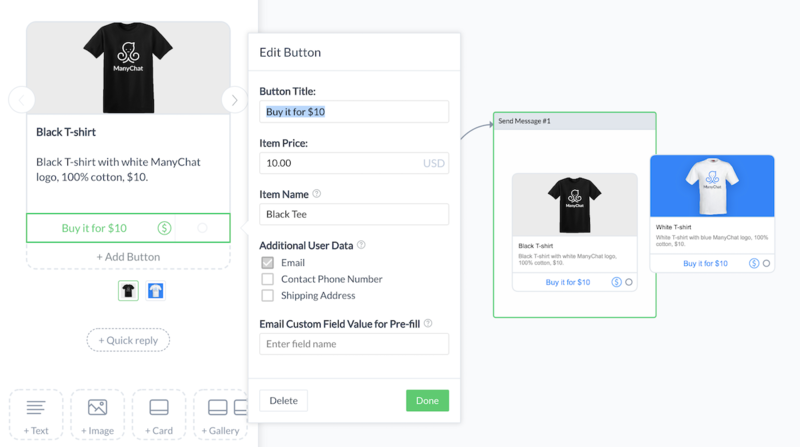 The first step to create a shopping cart within the buy button is to create at least two numeric custom fields and user inputs to collect their order number. 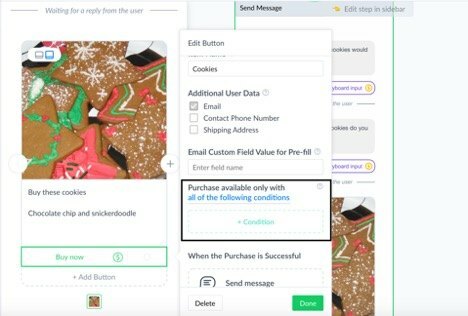 This update also allows you to use Conditions in Buy Button to limit the purchase in case they don’t match. It helps you to track the number of items and stop selling once they’re out of stock. We’ve heard your requests and today we’re rolling out a few updates to ManyChat Payments! What would you like to see from us next? Post in the comments below! Attach Actions based on the successful purchase (add Tags, send content, subscribe to Sequence etc.). ⚠ Please keep in mind that the Payments feature is available in a limited number of countries. See the full list here. ManyChat Payments isn’t the only exciting announcement we’ve made recently! 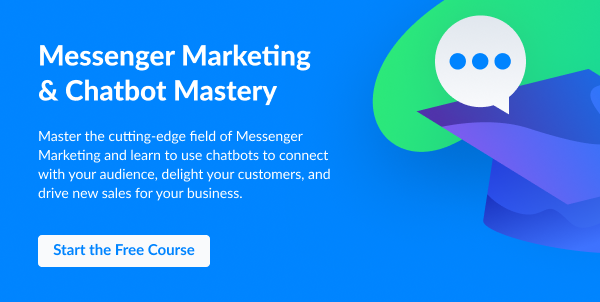 The FREE Messenger Marketing & Chatbots Mastery course by ManyChat’s Molly Pittman and Dan Gamito is ready for the taking! Access the course now for 10+ hours of Messenger Marketing expertise and 15+ blueprints you can execute with your bot—today! Learn more now. Awesome new feature here with a lot of possibilities, especially integrating with Mobile Wallet! Very well done Mikael and team! Is this released now? I mean this article would indicate it is and how it is to use but for the life of me I can’t find the Payments tab anywhere in my Dashboard. Thanks so much for continuing to make an awesome product better!!! I don’t see how can the customer choose quantity to buy. Is this possible or not yet? How can I change the request field before click on pay. Example: I would add the field “size”, it’s possible? It would be great to be able to send payment requests / buy buttons to people in the live chat. 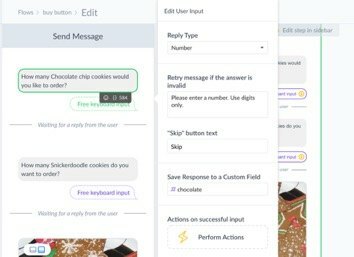 We use the bot / automated messaging to engage people in conversation, then step into the live chat to close the sale. It would be great to just be able to send them a payment request on the chat rather than having to link them to our website to make the sale. Please add the ability to pass variables to the purchase price! This way we can allow someone to bundle products in Messenger and send that price dynamically to Stripe. 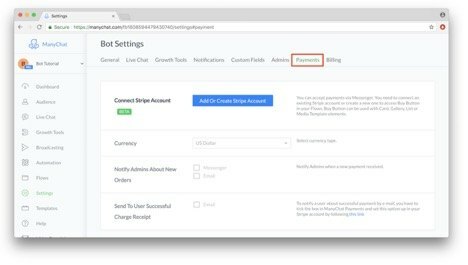 How chatbot can check, that the payments were made by the customer in PayPal? Does ManyChat Payments support Mexican pesos?